Either you love Family Guy, or you loathe it. During its tenure there have been a few (purported) omens making the rounds on the internet like so many Slenderman stabbings. But do they have legs? Back in April 2013, there were perceived coincidences behind the Boston Marathon bombings and the episode Turban Cowboy. Relevant scenes are Peter reminscing about the time he won the Boston Marathon, leading to a flashback of him driving his car through runners leaving a trail of carnage. Fifteen minutes later, wearing middle eastern garb, Peter’s making a call on a cellphone which detonates two bombs in a short period of time. Each scene is unrelated, but happening in the same show is eerie in hindsight. 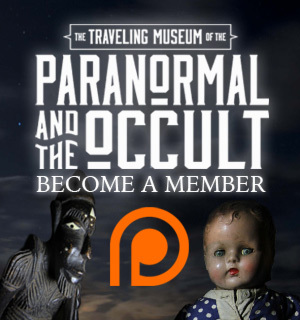 Making these kinds of connections, understanding the universe is associative, not causative, is just one aspect of fortean research where one measures a circle beginning anywhere. My friend Loren Coleman has best summed up this phenomenon as twilight language. He frames it as “The twilight language explores hidden meanings and synchromystic connections via onomatology (study of names) and toponymy” looking at coincidences, and finding trends. The show’s producer, Seth MacFarlane, denounced the video as ‘abhorrent’,1 which was subsequently removed from YouTube, only to be immediately reposted in observance of the Streisand Effect.2 Fox followed suit, removing Turban Cowboy from their website and Hulu, with no intention of airing the episode again. Depending on your financial means, the episode is available on Amazon’s streaming video service, or anywhere fine bittorrents are hosted. Of particular interest was BBC Three airing a repeat from May 20th, 2012, on August 11th, titled “Viewer Mail 2”, featuring the vignette “Fatman & Robin” 25 minutes before the announcement of Robin’s death. In Fatman & Robin, Peter’s struck by lightning, granting him the ability to turn people into Robin Williams. After turning his wife, Lois, into Robin Williams he attempts suicide several times. Juxtaposing suicide and Robin Williams in the same episode, the same sketch, around the death of Robin Williams begs further examination. What about the genius behind Family Guy? Seth MacFarlane is no stranger to conspiracy theorists, having cheated death when his travel agent bungled Seth’s reservations for American Airlines Flight 11. If you just returned from living under a rock on Mars, this is the plane that crashed into the World Trade Center’s North Tower on September 11th, 2001. A cursory review of his name’s onomatology sheds more light, if not upon his character but his role in the grander scheme of current and future events. Seth’s name is biblical, the namesake of Adam and Eve’s third, named son. His name means “appointed”. The Koran proposes Seth was provided by Allah as a replacement for the loss of their son Abel. According to Wikipedia, the biblical Seth lived to the ripe old age of 912. Seth MacFarlane wasn’t on American Airlines Flight 11, and lived to see Wednesday 9/12. Another interpretation of his first name is an obvious, yet tenuous, connection with the crocodile-headed god of evil, Set. Seth being an alternate spelling of the god’s name. In Egyptian mythology, Seth’s considered to be the defender of the sun god Ra, protecting him from the serpent Apophis during the nightly journey through the underworld. In 2029, the asteroid 99942 Apophis is going to swing really close to Earth. If it happens to pass through an 800 meter gravitational ‘keyhole’ on its approach, this 350 meter long rock will make planetfall on Friday, April 13th, 2036. Some scientists predict the impact will blot out the sun, wreaking havoc, death, and disaster for months, or years. Poetically, Apophis will finally consume Ra. Ptolemy is an ancient astronomer best known for tabulating astronomical data into ephemerides.4 The Egyptian Ptolemaic dynasty was founded by… Ptolemy the First who declared himself to be a savior. The most famous member of their clan being Cleopatra, famous for allegedly committing suicide by a snake bite to her breast. Again, we return to snakes and suicide. Bartholomew is one of Jesus’s apostles. He was martyred by being flayed alive, with popular depictions showing him holding a knife in one hand and his skin in another. Christians celebrate his feast day on August 24th. It’s also the namesake of Bart Simpson. The Simpsons are no stranger to the twilight language. 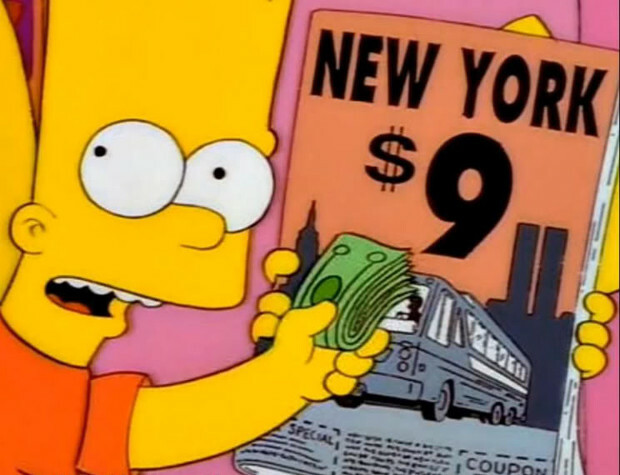 Long making the rounds on the internet are suggestions that The City of New York vs. Homer Simpson foretold 9/11 back in 1997. On the surface, the plot focusing on Homer’s car being booted between the Twin Towers is purely coincidental, but other scenes are more compelling. I’ll let the pictures do the talking. Look at the picture behind the dancing couple. Episode is Marge vs. the Monorail. Note this episode hasn’t been in syndication in the USA, but some British channels have aired it since 2001. This isn’t the only instance where 20th Century Fox programming allegedly predicted 9/11. The pilot, pun intended, for The Lone Gunmen centered on a false flag operation to crash a plane into the World Trade Center to being a war. See for yourself. What does all this have to do with the price of tea in China? September 11th, 2001 being the worst terrorist attack on American soil, clouded in mystery like lower Manhattan after the towers fell. Snakes being the demise of the our sun, Ra, and an ancient, chubby Greek girl with Grave’s disease who’s been overly romanticised, and astronomy. At this moment, astronomers are waiting to see if 99942 Apophis is going to miss its date with the gravitational keyhole or slip through and begin the countdown to humanity’s extinction. In the case of such an impact, it could herald an ‘asteroid winter’, by blotting out the sun with ejecta, smoke, and fallout. Fifteen years is quite a long ways away, but there may be something more imminent on the horizon. As I type this, Iceland’s volcano Bárðarbunga has been the source of a lot of geological activity,5 whether it’s earthquake swarms or belching out clouds of ash. Back in 2010, Eyjafjallajokull’s eruption shut down air traffic for six days from the skies being filled with ash. Bárðarbunga is a subglacial stratovolcano, with the potential to flood parts of Iceland when it finally blows its top. Such an event would echo prognostications for volcanic activity under the West Antarctic Ice Sheet eventually raising sea levels, drowning coastlines. Bárðarbunga means “Bárður’s bulge” or hump, named for an early Icelanding settler Gnúpa-Bárður. Bárður is another version of Bárðr, which combines the terms for battle and peace (baðu and friðr) into one name. It’s also a homophone for Bart, whose namesake saint celebrates a feast day this Sunday. August 24th is the 1935th anniversary for the eruption of Mount Vesuvius, Krakatoa began to erupt on May 20th, 1883, 131 years before Viewer Mail 2 first aired. If Bárðarbunga goes off, it could herald a mini Ice Age, or cooler temperatures like in the aftermath of Mount Pinatubo’s 1991 eruption, or an asteroid impact. An asteroid impact could also cause tsunamis, just like the west Antarctic Ice Sheet collapsing into the ocean. Will Bárðarbunga erupt? Most likely. Will it erupt on August 24th? Who knows? But there are correspondences and portents suggesting Fox’s programming can be eerily prescient, even though it’s 20/20 hindsight, making them a potential oracle for the 21st century. Just remember it’s important to think outside of the box, no matter how crazy it is, for a different perspective. Robin Williams put it best in Dead Poets Society. John Keating: I stand upon my desk to remind myself that we must constantly look at things in a different way. Is it the end of the world as we know it, or will we be fine? Share your invective on our Facebook page, at Twitter, or in the comments below! Pingback: The Synchromysticism Of Seth MacFarlane | There is widespread belief in Ghosts in English-speaking cultures, where ghosts are manifestations of the spirits of the dead.